Do simple tasks like bending over or just reaching out with your arm put you in a world of hurt? Backaches have become a common condition, thanks to the desk-chair culture of nowadays. Hunching over a desk all day can make your entire body achy and even wreak havoc on your digestive system. Common as it may be, back trouble is not something to be trifled with. Pain and stiffness due to a backache can not only affect your productivity but also make your day-to-day life quite difficult. 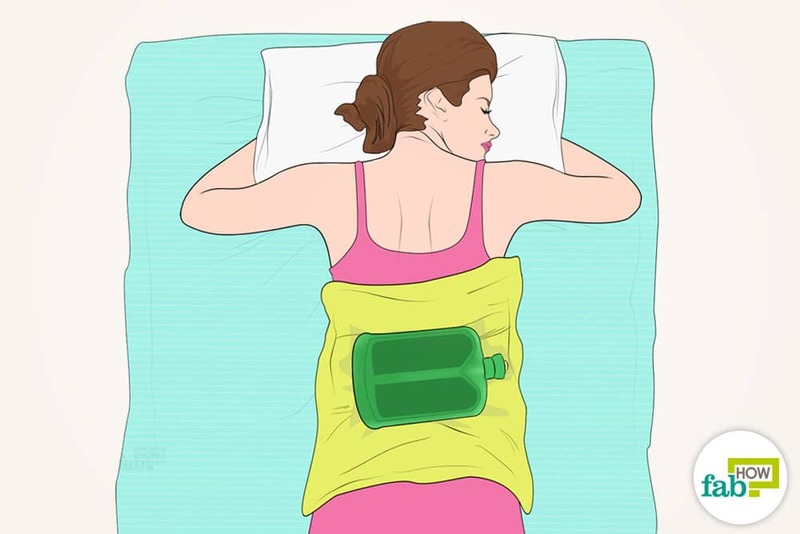 Whether you’ve just pulled a muscle during a heavy workout, had an exhausting day or if you’ve been dealing with backache for as long as you can remember, these safe and effective home remedies can help you get rid of back pain once and for all. If you have an injury-related backache, consult your doctor if the remedies don’t provide relief, and the pain persists for more than a few days. Here are eight simple home remedies to help you get rid of back pain. Hot compress can prove effective in easing muscle tension and improve muscle function if you’re suffering from stiffness. Heat therapy can reduce muscle spasms and provide immense relief in fatigue-induced back pains. A cold compress is best used in the first 24 to 48 hours of back pain due to an injury. Also, cold rather than hot compresses should be used in certain cases, such as if the skin is broken, bruised or swollen. Patients with heart disease, diabetes or dermatitis should also refrain from using hot compresses, or do so only after consulting your doctor. When applying heat therapy, make sure that the hot compress can maintain its heat at the appropriate temperature so that the heat can penetrate deep into the muscles. The compress should never be too hot, which will only cause discomfort. You can opt for dry heat or moist heat, according to your preference. Dry heat draws the moisture out of the body and can leave your skin dry, but it may be more convenient to use. Moist heat, on the other hand, is considered the preferred option, as moisture allows the heat to better penetrate into the muscles. Heat a microwavable rice bag for about 2 minutes in a microwave. Test the temperature against your skin before using it on your aching back. Apply the rice bag as a hot compress for about 20 minutes to get relief from your backache. 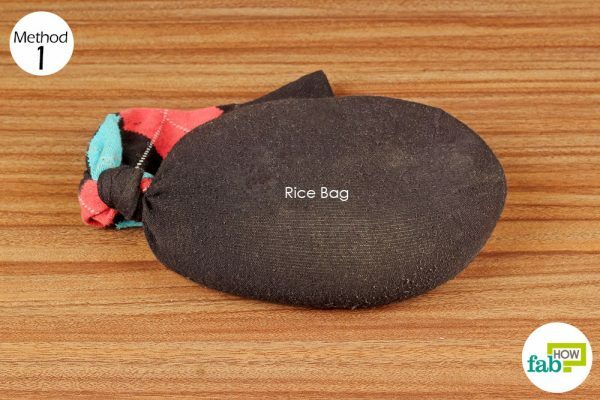 While there is a variety of DIY heating pads, rice bags provide moist heat with the added benefit of being convenient to use on the go. Heat therapy should provide speedy relief in back pains with just one application. Repeat 2 to 3 times for 2 days if the pain persists. A cold compress constricts the blood vessels in the area to bring down any swelling. It reduces inflammation and also acts as a local anesthetic, which ultimately eases the pain. When applied correctly, a cold compress also decreases tissue damage. If your backache is due to an injury, use cold compresses during the first 24 to 48 hours for maximum benefits. Note: Always keep a cloth or thin towel as a buffer between ice and your skin. Exposing bare skin to ice can cause cold burns. Hold or place the ice pack on your aching back for 5 to 10 minutes at a time. Give it a rest for 1 minute, then apply the ice pack again. Continue for about 30 minutes. Apply cold compress 3 to 4 times throughout the day after the injury. Repeat the next day if required. 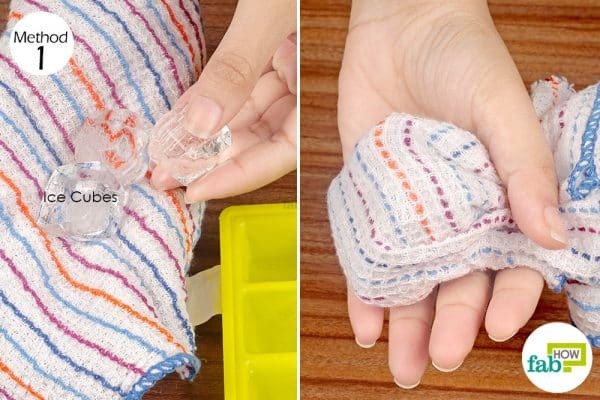 Discontinue the use of cold compress after 48 hours from the injury. If you’ve been dealing with a persistent backache that’s not a result of an injury and you can’t pinpoint the cause in your diet or lifestyle, magnesium deficiency may be to blame. Magnesium deficiency is often marked by fatigue and muscle pain throughout the body. If your backache is accompanied by muscle twitching, numbness, spasms and headaches, magnesium deficiency is likely the cause of your persistent pain. While you can include more nuts, seeds, whole grains, beans, and leafy greens in your diet to boost your magnesium level, topical application can help your body directly absorb the magnesium it needs. Magnesium oil (made with magnesium chloride flakes) and Epsom salt (magnesium sulfate) are two easy means for topical supplementation of magnesium in the body. Spray magnesium oil on your back and other areas prone to aches each day after taking a shower. Let the magnesium oil dry completely before putting on your clothes. 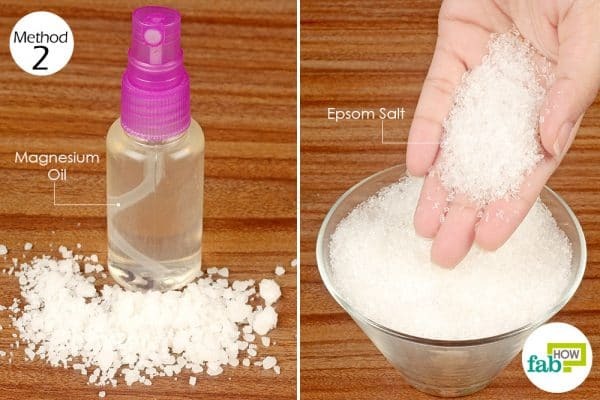 You can also add Epsom salt to warm bathwater and enjoy a 20-minute soak every night. 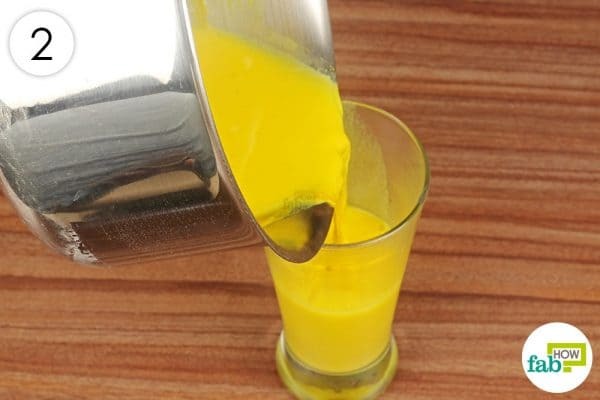 Using this remedy for just 2 days will result in miraculous improvement. Continue with this remedy daily until the pain in your back goes away entirely. Thereafter, you can do it once a week to supply your body with the required magnesium. Garlic is a very good remedy for an inflammation-induced backache, as it has high selenium content. Garlic also contains the phytochemical capsaicin that has analgesic properties, making garlic a natural painkiller. Eating 2 or 3 raw garlic cloves daily is a very effective way to get relief from backache. You can just swallow the cloves whole or add them to salads and dips. For topical use, simply massage some garlic oil over the affected area of your back. For best results, warm up the oil first. Ask a family member or friend to help apply the oil to hard-to-reach areas. Let the garlic oil stay on the skin for at least a few hours for best results. Wear an old shirt after the massage to protect your clothes from oil stains. Repeat the massage twice a day for a couple or more days to get relief in backache. This is the perfect exercise to counter the effects of a desk-chair lifestyle. This gentle and pain-free exercise is great for lower back pain and also helps build upper body strength. You can also do it after a workout to calm your body. Practice deep, diaphragmatic breathing while doing this exercise. Place the foam roll on the floor. Lie down, resting the length of your back against the foam roll. Both the base of your spine at the hip and your head should be supported by the foam roll. Train your eyes straight up at the ceiling. Lift up your arms, perpendicular to your torso and with your palms facing each other. Taking a deep breath, keep your arms straight and move them down to the floor above your head, then exhale. Do this for 5 to 10 minutes daily to get rid of chronic backache. This simple exercise can help with a backache, especially lower back pain. You can do it using a bench or an immobile box or chair. Lie down on your back, placing your feet on a bench, a box, or just a stack of folded towels. Face the ceiling and keep your arms by your side. Pressing your feet on the bench, raise your hips off the ground. Use your arms as leverage. Hold the position for 5 seconds, then revert to the starting position. Wait 10 seconds, then lift your hips again. Do this exercise for 5 minutes daily to alleviate chronic back pain. Another simple exercise that you can do to ease your backache is the knee-to-chest stretch. This stretch will align your pelvis and also help stretch your lower back muscles as well as your glutes. Lie down on your back with your toes pointing toward the ceiling. Gently bend your left knee and bring it toward your chest. Clasp your arms around your thigh, knee or shin and slowly pull it further up, so that your thigh is flush against your chest. Hold for 15 to 20 seconds, then revert to the starting position. For beginners, repeat this activity twice with each leg. You may do it 4 or 5 times for each leg when your endurance builds. Ginger is a safe and effective natural remedy for backache sufferers. Its anti-inflammatory properties reduce inflammation and thereby alleviate the pain. It also improves circulation and acts as a natural muscle relaxant and analgesic. 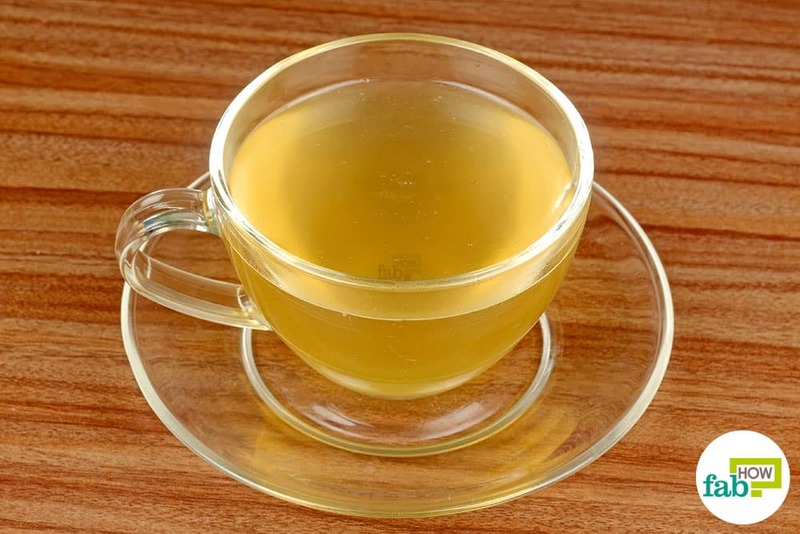 For similar reasons, ginger also provides relief from menstrual cramps. Those who suffer from persistent backaches should include gingerroot in their diet. 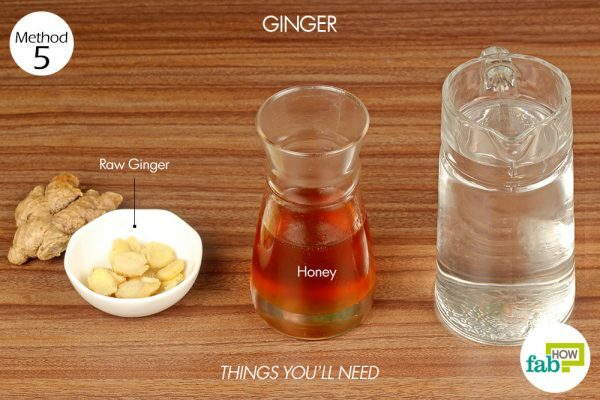 Another way to take ginger to treat a backache is to drink simple ginger tea with honey. 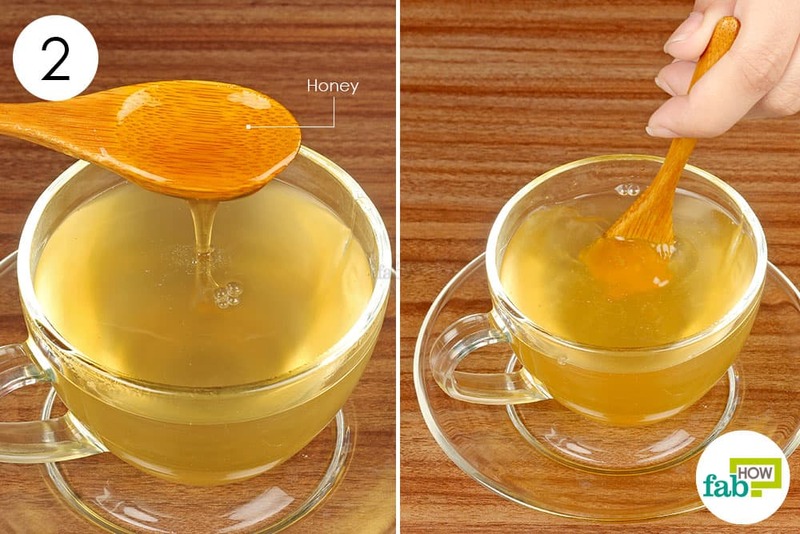 Honey lends its anti-inflammatory and healing properties as well as adds flavor to the tea. Pour 1¼ cups of water into a pan placed over heat. Put 1 to 2 inches of sliced ginger in the water. 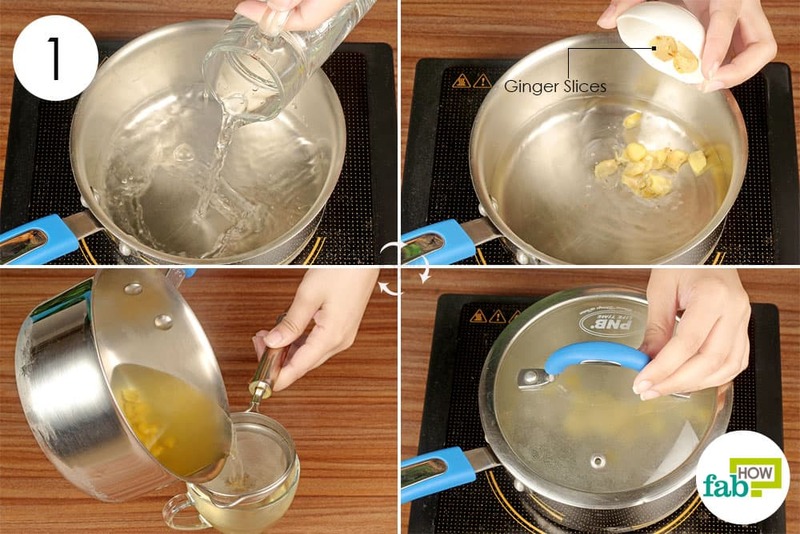 Bring the water to a boil and let the ginger pieces simmer for about 2 minutes. Take the pan off the heat and strain the ginger tea. Add 1 to 2 teaspoons of honey to the ginger tea. Sip on this ginger tea 2 or 3 times daily and get noticeable relief from back pains in 1 day. Coconut oil is quite the panacea for a host of health problems, including backaches. The high levels of lauric acid in coconut oil are responsible for its anti-inflammatory benefits. Massaging your back with warm coconut oil can provide pain relief within minutes. 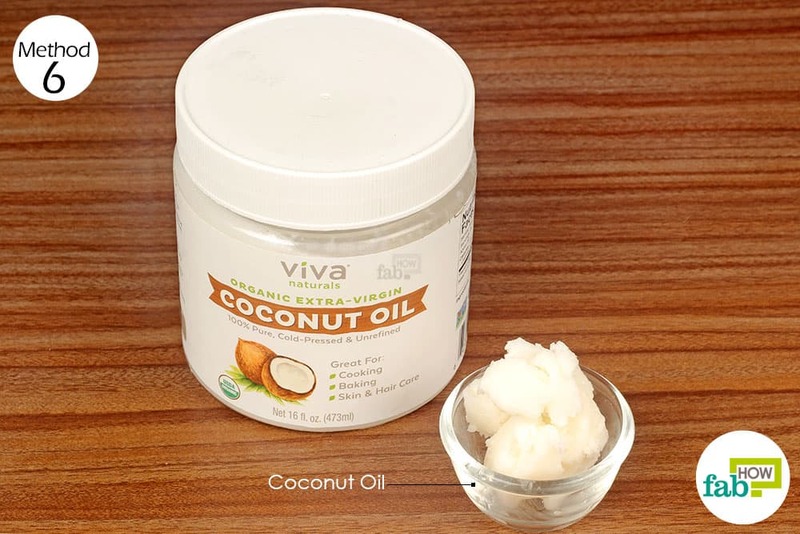 For best results, make sure that the coconut oil is unrefined, organic and cold-pressed. Optionally, you can infuse the coconut oil with medical-grade camphor to boost its efficacy. If you suffer from chronic back pain, DMSO can come to your rescue. DMSO, or dimethyl sulfoxide, is available as a clear liquid that has a slightly oily texture or in gel form. It can be help you get rid of back pain resulting from an injury as well as fatigue. 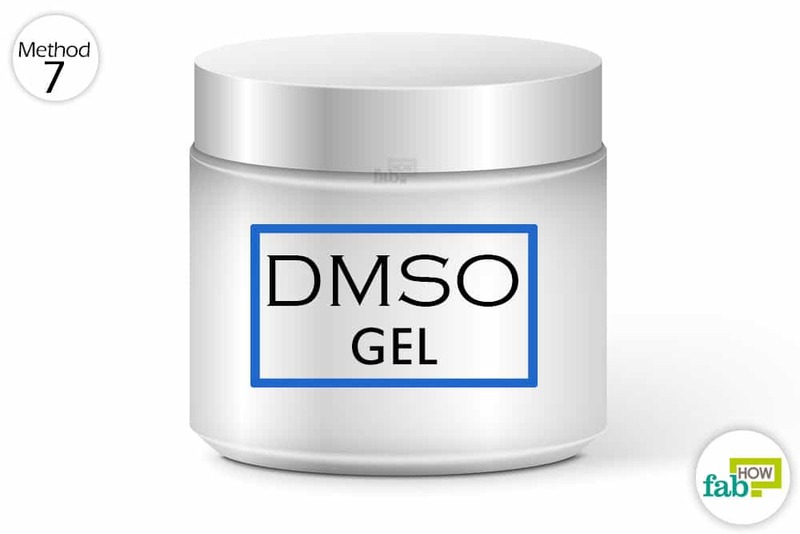 DMSO absorbs into the skin when applied topically and reduces swelling, inflammation and pain. For chronic backaches, you may experience a significant reduction in stiffness and pain as well as improvement in mobility with every application. Note: DMSO should not be used by pregnant or nursing women, or people suffering from diabetes, asthma, or liver and kidney conditions. Also, DMSO can increase the effect of medicines, which may lead to serious health concerns. Consult your doctor if you’re on medications like blood thinners, steroids or sedatives. Wash your hands and clean the skin of the achy area on your back. DMSO increases the absorbency of the skin, so it’s best to start with clean skin. Apply 1 or 2 teaspoons of 70% DMSO liquid or gel on the aching area. Gently massage the area to help the DMSO be completely absorbed into the skin and work its magic. Reapply twice a day. You will experience maximum pain relief within 1 to 2 days. Turmeric or golden milk has a long-standing history of use in the Indian subcontinent as a natural analgesic. 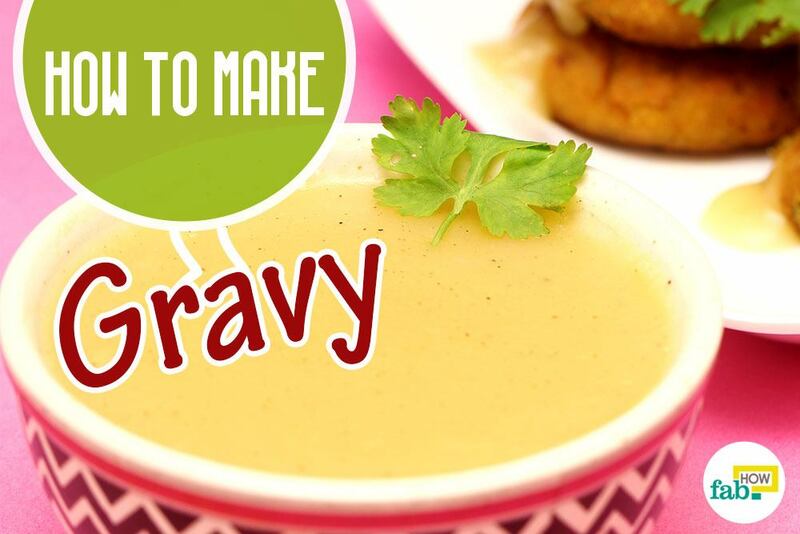 While we used dairy milk in this example, you can also use dairy-free milk like coconut milk or any nut milk. Pour 1 cup of milk into a pan. 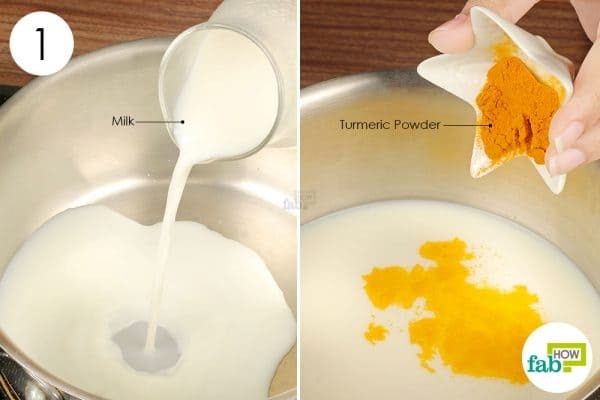 Add 1 teaspoon of turmeric powder to the milk. Turn the heat on and bring the milk to a boil. Turn off the heat and pour the turmeric milk into a glass. 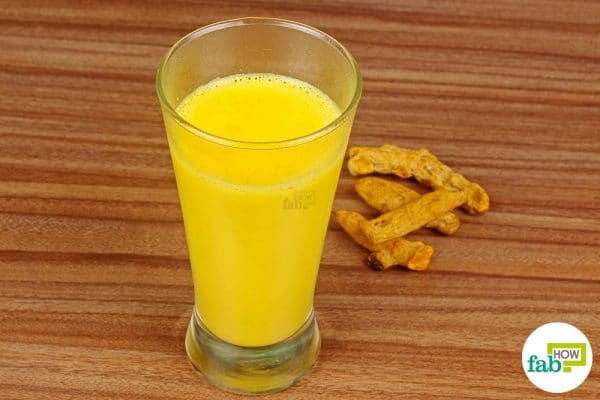 Drink this turmeric milk 30 minutes before bedtime daily to get rid of back pain within a few days. For a cold compress, you can also use a bag of frozen peas or a gel ice pack. 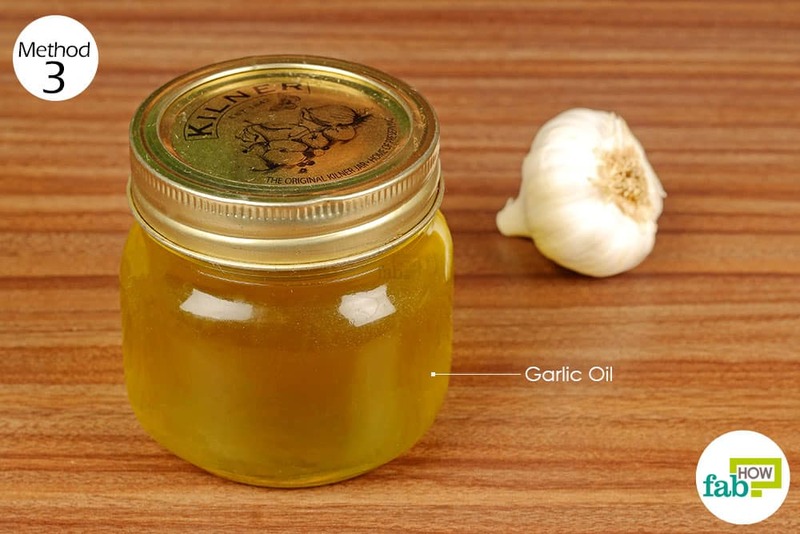 Raw garlic paste can be used instead of garlic oil as a topical treatment for back pain. 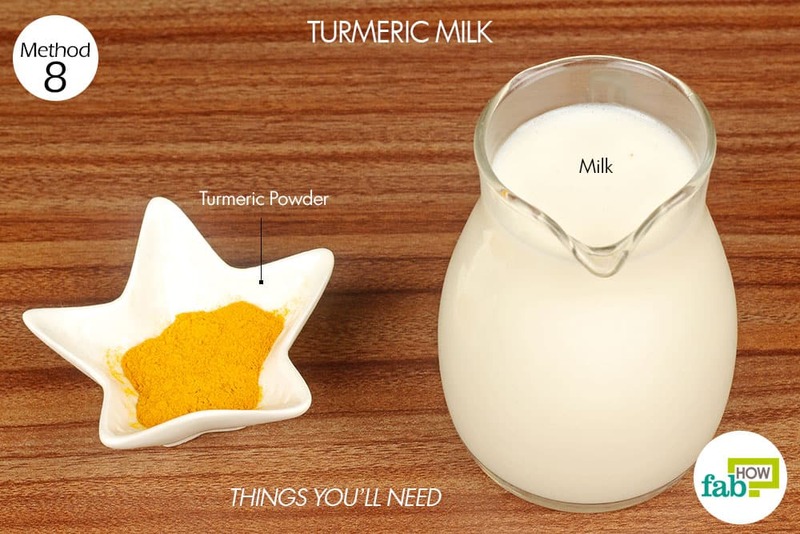 To enhance the flavor of the turmeric milk and the efficacy of the remedy, you can add a little ginger and honey. Fleckenstein J, Wilke J, Vogt L, Banzer W. Preventive and Regenerative Foam Rolling are Equally Effective in Reducing Fatigue-Related Impairments of Muscle Function following Exercise. Journal of sports science & medicine. https://www.ncbi.nlm.nih.gov/pubmed/29238246. Published December 1, 2017. Sanivarapu R, Vallabhaneni V, Verma V. The Potential of Curcumin in Treatment of Spinal Cord Injury. Neurology research international. https://www.ncbi.nlm.nih.gov/pmc/articles/PMC4889828/. Published 2016. Gröber U, Schmidt J, Kisters K. Magnesium in Prevention and Therapy. Nutrients. https://www.ncbi.nlm.nih.gov/pmc/articles/PMC4586582/. Published September 23, 2015. Meamarbashi A. Herbs and natural supplements in the prevention and treatment of delayed-onset muscle soreness. Avicenna journal of phytomedicine. https://www.ncbi.nlm.nih.gov/pmc/articles/PMC5329173/. Published 2017.